Princess & the Paper presented by A Jillian Vance Design: Boo! Hello, everyone! Jillian here. Today's card is a quick and simple Halloween card that I really, really love! It doesn't take much time to make but is super cute. I love the subtle boos and the little creature poking out of the black hole. I cut a circle in the middle of the white background and added the googly eyes to make it look like something spooky was looking through! 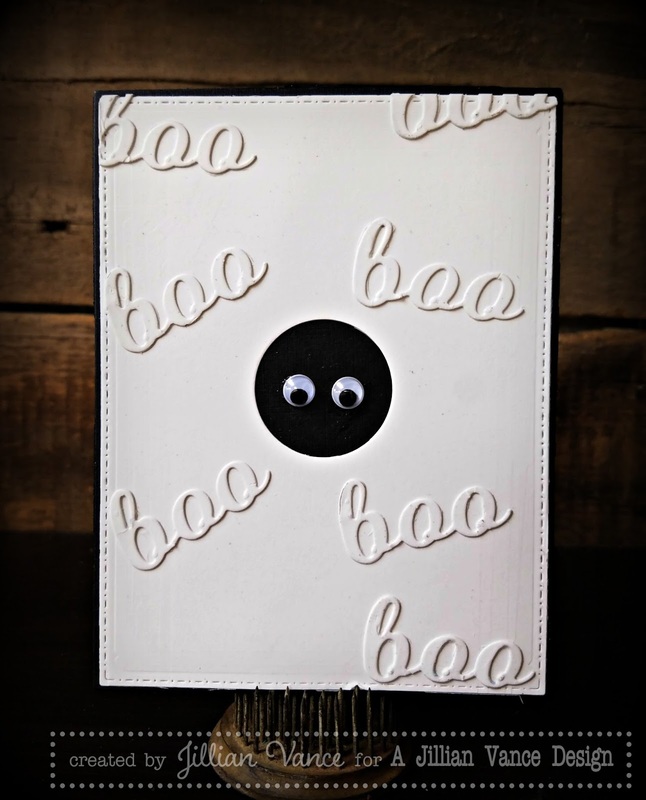 This card doesn't take very long to make, but the end product is so adorable! I love black and white cards so much and this one is no exception ! This is true talent to me, make something that looks simple but that is actually a true process of reflection about how to keep it minimal. Great great job ! !